I was actually surprised how much freedom we were given with this challenge. Jenny has given us a basic cheesecake recipe and let us be as creative with it as we wish. How fun was that!!! 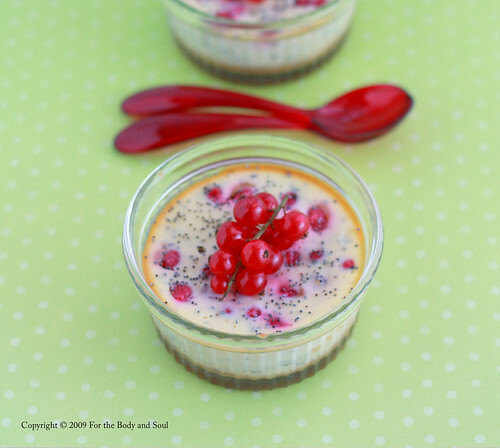 I've opted for red currant cheesecake for a simple reason. Red currants which are almost never available here, suddenly and unexpectedly appeared in my grocery store and I just couldn't resist them. I didn’t have enough currants to make the whole recipe, so I decided to scale it and make only 1/3 of it. Also, I decided to add some poppy seeds to the batter, they didn’t taste much, but were a really nice complement to the red currants. For the crust, I opted for amaretti cookies, which gave the cheesecake some extra flavour that went really well with the red currants. I really enjoyed my first challenge and cannot wait to see the next one. Thank you for the recipe Jenny. It was truly delicious!!! Here's my recipe, for the original basic cheesecake recipe check Jenny's blog here. 1. Preheat the oven to 175 °C (350 °F). 2. Crush the amaretti cookies in a food processor. Mix with melted butter and sugar and press into the ramekins or custard cups. 3. Using an electric mixer beat the cheese and sugar until smooth. 4. Beat in the egg mixing constantly until well combined. 5. Pour in the cream and lemon juice and mix until smooth and creamy. 6. Pour the batter into the ramekins. Place the ramekins in a large baking dish filling the dish with boiling water until halfway up the side of the ramekins. 7. Bake for about 20-25 minutes or until the cheesecakes are solid around the edges but still jiggle a little in the center. 8. Cool in the oven with the door ajar for 1 hour. 9. Remove from the oven and leave to cool completely. Once the cheesecakes are cold, chill in the fridge overnight. These individual cheese cakes with the fruit on top look really delicious!! A beauty of a picture too: so colourfull!! Oooh I would love to get my hands on some fresh currants. These look beautiful, and the poppyseeds are an interesting touch. 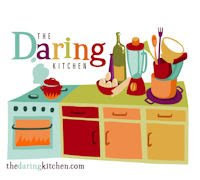 Thanks for being a part of the April Daring Bakers Challenge! Very pretty indeed. 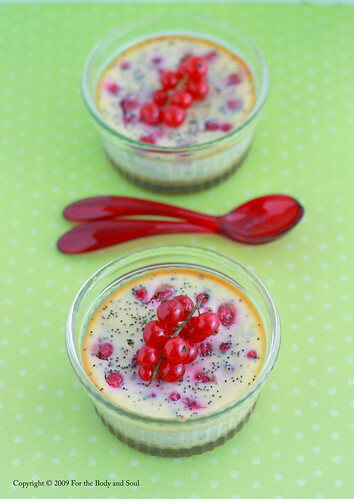 The choice of red currant and poppy seeds sound wonderful. I also like it in individual size. Goodness, this looks gorgeous!! I would love to try this sometime, and those photographs are perfect. Amiable brief and this fill someone in on helped me alot in my college assignement. Thank you on your information. Your blog is so useful, I can tell you have put in a lot of work on it. Such a pretty photo of a pretty pudding!!! Looks yummy, I bet it taste yummy too, thanks for sharing! Thanks for stopping by the Pixie Blog, good luck with round 5 giveaway!